I heartily recommend the 2017 Berlin-Jerusalem co-production ‘The Cakemaker’ (Ophir Raul Grazier). Without wanting to give away too much, it’s a sensuous powerful love story beyond homosexuality and heterosexuality, beyond national, ethnic and religious borders, which is simply captivating. 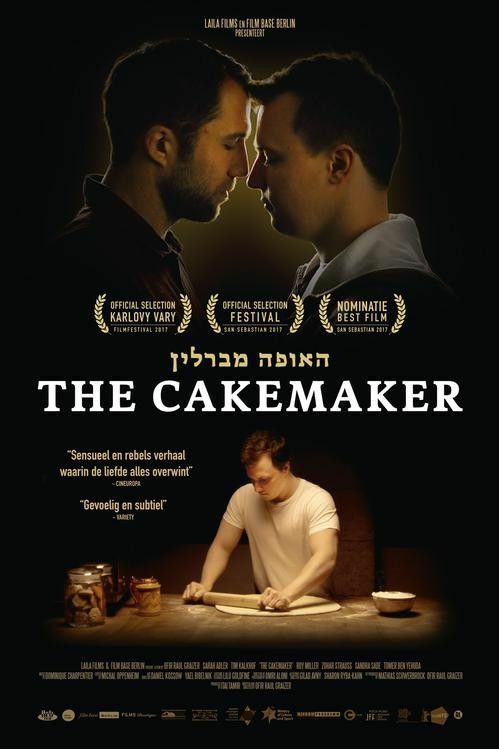 With amazing performances by Sarah Adler, Tim Kalkhof and my favourite, Zohar Strauss (also seen in 2009’s ‘Eyes Wide Open’ about homosexuality in an orthodox community in Jerusalem) not to mention lots of lingering shots of various baked goods, it’s a real pleasure. And when you visit Berlin, I’ll happily join you for a slice of Black Forest gateau in Cafe Kredenz on Kantstrasse, exactly as featured in the movie!